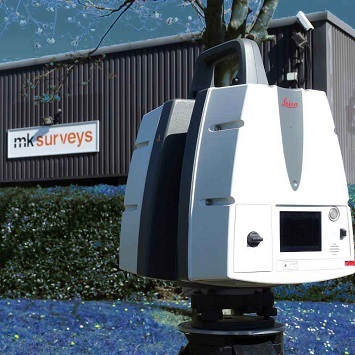 Using the latest in laser scanning technology from Leica Geosystems, MK Surveys are able to record complex structures and objects of any shape or size quickly, accurately and safely. Speed: Rapid collection of site data, recording up to a million points per second there are no omissions, offering a complete dataset. This in turn reduces time on site, eliminates the need for return visits and provides a unique record of the site in time. Accuracy: Using the most advanced laser scanners, vigorously controlled coordinated targets and our staff expertise, post survey registration can be achieved to a high level of accuracy. Safety: Data collection is achieved using remote sensing techniques, entirely unobtrusively. This eliminates many Health & Safety hazards such as working at height, within confined spaces and areas with limited lighting conditions. 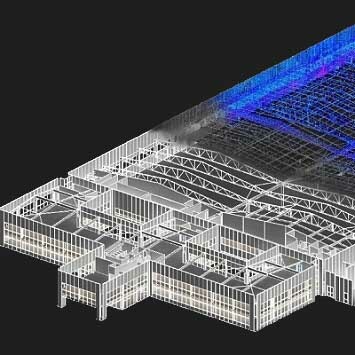 Once the laser scan data has been captured and accurately registered the ‘pointcloud’ can be imported into an array of software packages such as Autodesk’s AutoCAD or Revit where 3D models of entire sites or individual components can be produced. 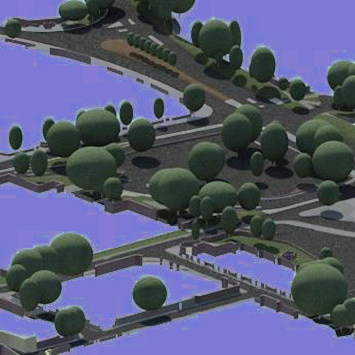 Scanning a subject provides far more redundant survey data than traditional surveying techniques, enabling a far more detailed and accurate 3D model. Deliverables can be provided in various formats from Autodesk AutoCAD or Revit, Industry Foundation Classes (IFC), raw laser scan data, Leica TruViews and video fly-throughs as well as traditional 2D CAD drawings. Using more conventional survey methods and equipment, manually acquired survey information can also be transformed into a 3D virtual representation of the site and/or structure. These measurements can be recorded using a range of our in house equipment such as robotic total station, handheld laser distance meter and tablet PC, by our experienced and highly qualified surveyors. HDR (High Dynamic Range) imagery can be used to capture any kind of scene in almost any lighting condition. 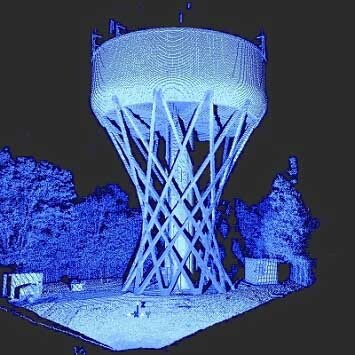 This imagery can be used to produce 3D textured meshes using photogrammetry techniques as well as provide high quality colourised laser scan data. Using specialist software our HDR panoramic imagery can also provide a virtual asset management database with the ability to hold masses of maintenance documentation, specifications and schedules. Other deliverables include virtual reality tours, rectified imagery and image files in HDR/EXR formats. Our skilled 3D Technicians are capable of taking any scaled 2D plans and converting them into a 3D model. Using 2D information, structures can be modelled by extruding the 2D lines to become 3D objects. Dimensions and height/level information would be required in order to produce an accurate 3D model. 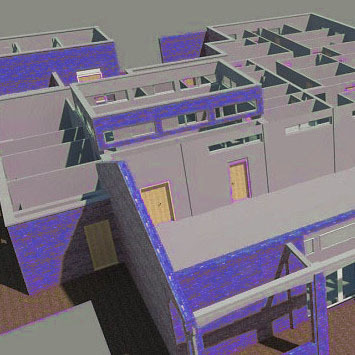 Building Information Modelling (BIM) doesn’t stop at buildings. Our staff are experienced in conventional survey techniques and utilise pioneering technology to provide an array of BIM deliverables of any site, above or below ground.